The garage door is the biggest moving part of your home. It is regularly used which means there is a good chance that it will suffer from wear and tear. A broken door can become a hazard to you and your home. So we at Garage Door Repair Lynn have created a list of common garage door injuries and some ways to prevent them. Many people believe that they can fix the problem by themselves and very often, they do a bad job. They end up spending more on the job than if they called a garage door company. They also injure themselves as they try to figure out what to do. The best way to solve this is by calling our professionals to solve the problem for you. 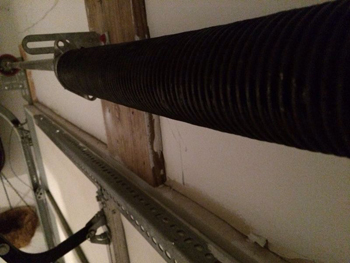 Most injuries caused by garage doors happen to children. This is because kids enjoy playing with everything. Many times they try to race in and out of the garage while the door is closing. This can result in a 400 lbs door closing on them which can cause broken bones and trauma. The best thing to do to prevent this from happening and that is done by educating your children to stop playing with or near the door and explaining to them that it is not a toy. Just like children, people try to race past the door in their car. This causes harm to the driver and everyone else inside the car. It also causes damage to your car. To prevent this, install a sensor which can thwart the impact; although there are still some risks even if sensors are installed. The best thing to do is to wait for the door to reopen before attempting to get inside. 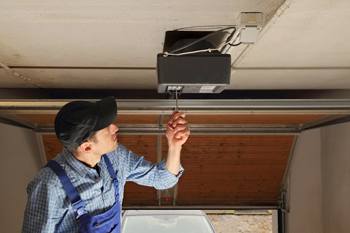 Garage doors are often used daily which means it needs yearly maintenance. If you fail to properly maintain the door, there is a good chance that some section or the whole door will fall. This can cause serious harm to you and your car. The best way to prevent malfunctions is through regular maintenance from expert technicians like us. Make sure that all the springs and cables are tightened and in perfect working condition.